Location and Transport The Caesar is ideally located for both the business and leisure traveller in a quiet residential area in Central London in Hyde Park/Bayswater close to the Paddington mainline station that provides the fast 15 minute direct shuttle service to Heathrow Airport. The Caesar is just a few minutes walk away from Hyde Park, Marble Arch, and the shopping district of Oxford Street, Regent Street and Bond Street with easy access to the West End, City and London Docklands by rail, bus and car. 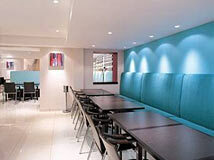 Gatwick Airport is also easily accessible via the Gatwick Express from Victoria Station. 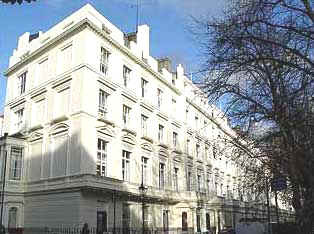 The Hotel is also just a few minutes walk away from three underground train stations; Lancaster Gate, Bayswater Road and Queensway from where you can travel to any area within Central London. Description The Caesar hotel is an oasis of tranquility in the heart of London, combining contemporary style and modern thinking with your desires and comfort. The Caesar is now open after a multi million pound redevelopment with all the services and standards expected of a self rated 4 star hotel in London. All 160 stylish bedrooms are carefully designed to provide the guest with a very relaxing and comfortable surrounding with modern wooden furniture, specially designed headboards with light features, stylish chrome fittings and bright fresh colours used in the decoration of the rooms. Bedrooms boast ensuite facilities, trouser press, safe, hairdryer, 24 hr room service, tea/coffee making facilities and direct dial telephones with voicemail. Room service is 24 hours. Guests can enjoy the relaxing atmosphere and have a drink at the XO Bar or try the innovative international cuisine of the XO Restaurant. 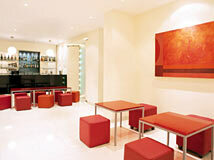 The hotel is very modern, contemporary and stylish. The colours, fabrics and overall design of the hotel have been carefully chosen to provide a very relaxing, comfortable and enjoyable stay. 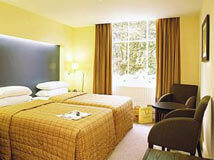 The hotel also has executive rooms. Please contact us for best rates. 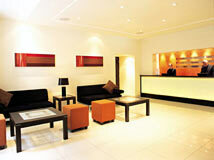 Our Comments We highly recommend this 4 star superior modern, contemporary designer style hotel in the centre of town.